In case you don't recognize the names Roger Ng and Tim Leissner, they are the two former Goldman Sachs bankers who were involved in that $4.5 billion money laundering scheme along with Malaysian financier Jho Low, most notable for the fact that some of the plundered wealth was used, ironically, to fund the 2013 film The Wolf of Wall Street. Now, Low, Ng, and Leissner have been indicted by authorities on various charges connected to the scandal. Federal prosecutors recently announced that Low and Ng are facing three counts of conspiracy to commit money laundering, bribery, and circumvention of accounting controls, all in violation of the Foreign Corrupt Practices Act. Ng was arrested in Malaysia the day the announcement was made, while Low (seen in the photo below) is still at large, thought to be in hiding from authorities somewhere in China. Leissner also faces a criminal complaint of his own, and he has reportedly pleaded guilty to two counts of conspiracy to commit money laundering and violating the Foreign Corrupt Practices Act. As a result of those guilty pleas, he's been ordered by authorities to forfeit $43.7 million, a sizable amount but really a drop in the bucket compared to the $1 billion in stolen funds that authorities have attempted to recoup through civil forfeiture. In those attempts, complaints filed by authorities named movie production company Red Granite Pictures as the source of about $100 million in illegally diverted funds. Red Granite, a company whose production credit adorns such films as the aforementioned The Wolf of Wall Street, Daddy's Home, and Dumb and Dumber To, has paid out a $60 million in a settlement on part of the case. 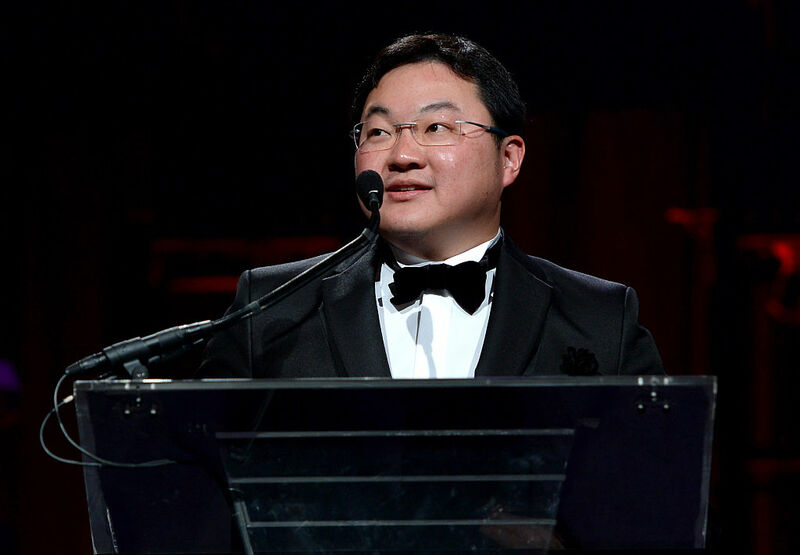 Those funds allegedly came from the 1MDB Malaysian development fund, which is at the center of a massive spiderweb of scandals that has resulted, among other things, in the recent sale of the superyacht Equanimity.